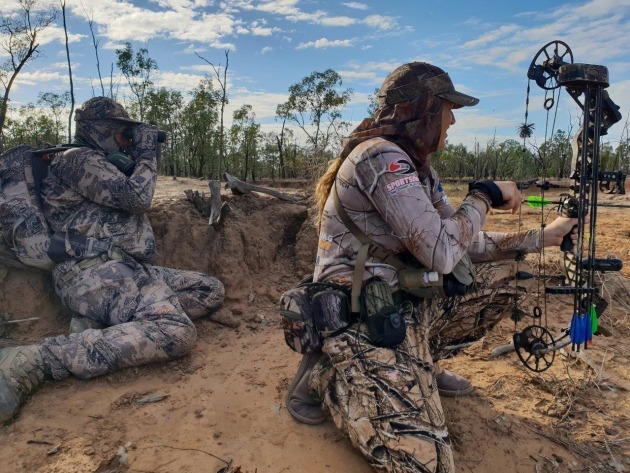 Last April was another exciting month for female hunters, with Australian Outfitters hosting the second Annual Ladies' Hunt at their Western Queensland lodge. 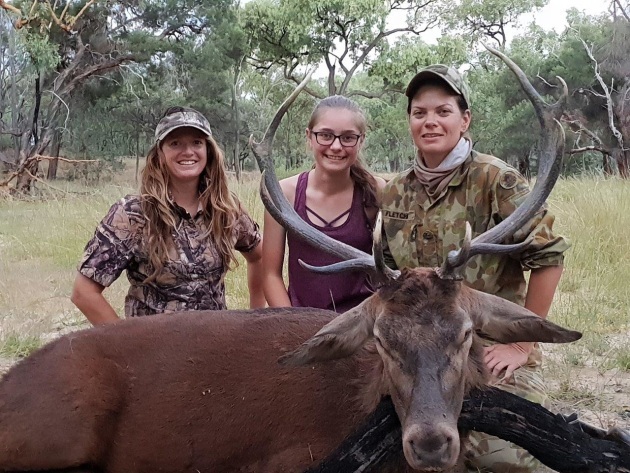 The Ladies' Hunt idea was conceived in collaboration with Heart of the Huntress bowhunter Christie Pisani and Australian Outfitters owner Craig Richardson, with the assistance of Mike Mackay, owner of the Hotspur Safaris Ranch. The idea is for female hunters of all ages and experiences to come together in a friendly, non-intimidating and encouraging environment, sharing their hunting experiences, and celebrating their successes. 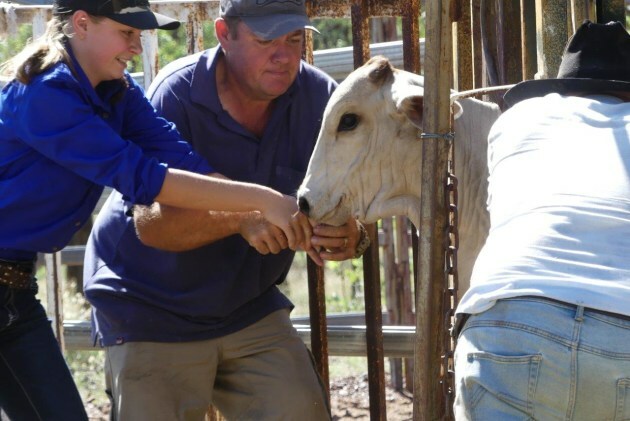 The hunt is held in western Queensland, on a working cattle property. The hotspur site boasts 120 thousand acres of free range hunting on private property, with a further 11 thousand acres of country within an exclusion fence, where the animals are free roaming in a truly wild setting and protected from predators. 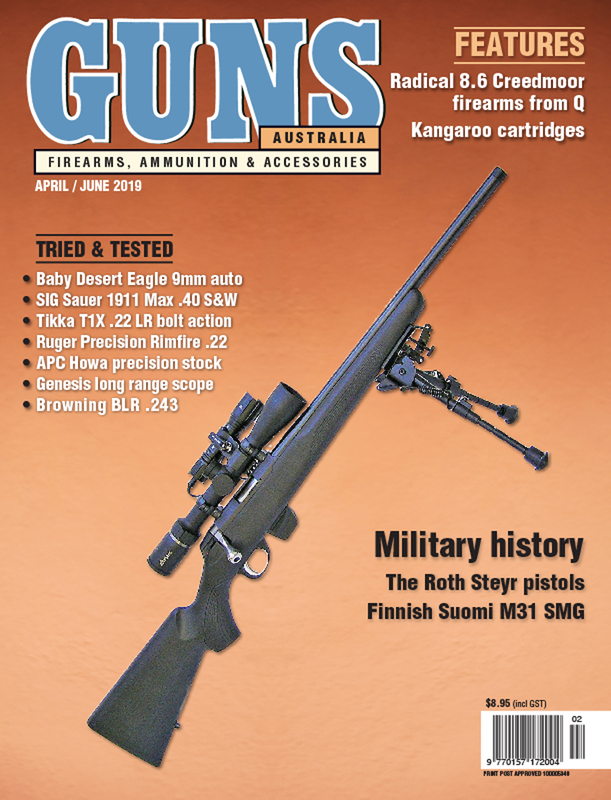 Along with their buffalo hunting property in the Northern Territory, Australian Outfitters has access to a further one million acres over other locations, with their national and international partners. 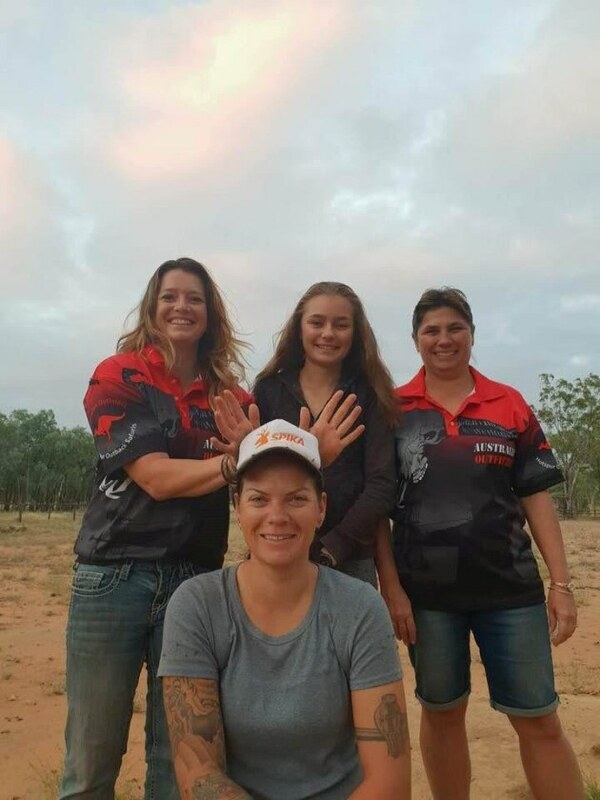 Melissa Richardson from Maryborough and Janelle Fletcher from Brisbane made up the ladies hunting team this year and we were also joined by Sue Richardson who was an integral part in the behind the scenes of making the event a success, keeping the ladies well fed and the facilities organised! Melissa was first cab off the rank and she was hunting for one the newest imports at the hotspur lodge- a Snowy Mountain rams or a painted Desert Ram. 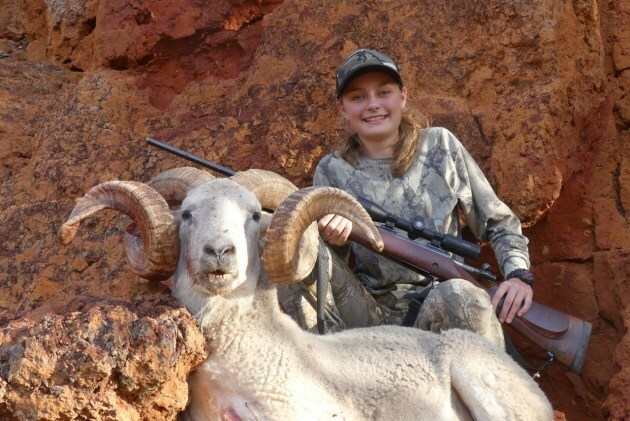 The rams had taken very well to their new environment, choosing the red sandstone cliff faces of the property as their new home, and making for a beautiful backdrop for Melissa to successfully take a beautiful spiral horned Snowy Mountain ram with her Winchester SuperGrade .270. For Fletch, this would be her first ever hunt. Coming from a military background, she has extensive experience in firearms, but this was the perfect opportunity to get away from the range and into the hunting field, learn about deer behaviour, stalking, and post hunt meat and trophy preparation. It was also going to be the maiden hunt with her newly purchased Browning X-Bolt .308. 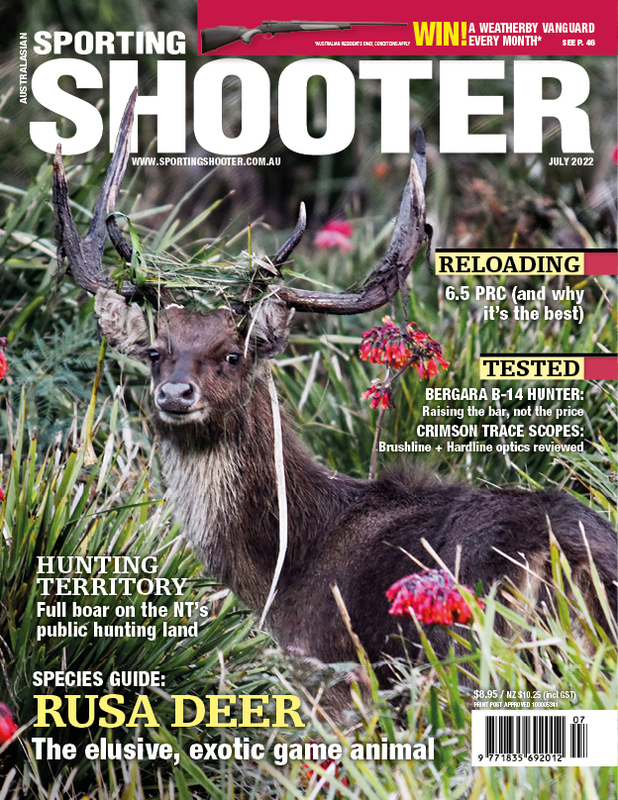 Fletch’s hunting journey was an exciting one, initially targeting a chital deer as her trophy. After a couple of days chasing these elusive deer she had the opportunity to take a management fallow deer for meat. A more few days into the hunt (still undecided about her choice of trophy species) she was unable to resist the majestic beauty of the mighty red stag as her trophy animal. She also successfully shot a wild dog, one of many around the area that have been injuring and killing young calves and fawns. The Ladies' Hunt is a great combination of a hunting holiday and hunter education. Between hunts the ladies could choose to chill by the pool, or otherwise get involved with jobs around the farm, including the butchering and preparation of the meat from their kills. Fletch was able to go home with two huge eskies full of prime free rage venison, including sausages and mince she learnt to make during her stay. The ladies also learnt about the preparation of capes and antlers for the taxidermist, and even had the opportunity to be involved in a cattle muster. The Ladies' Hunt runs yearly around mid-April, to coincide with the red and fallow deer ruts, but there are many other animals to hunt including chital deer, wild sheep, scrub cattle, rusa deer and camel. It is a great experience, particularly for women who are interested in hunting but may not have the experience, contacts or property access to go out alone. Of course, Australian Outfitters also cater for male hunters. Fellas, you don’t need to dress in skirts and sport wigs to get onto a hunt. 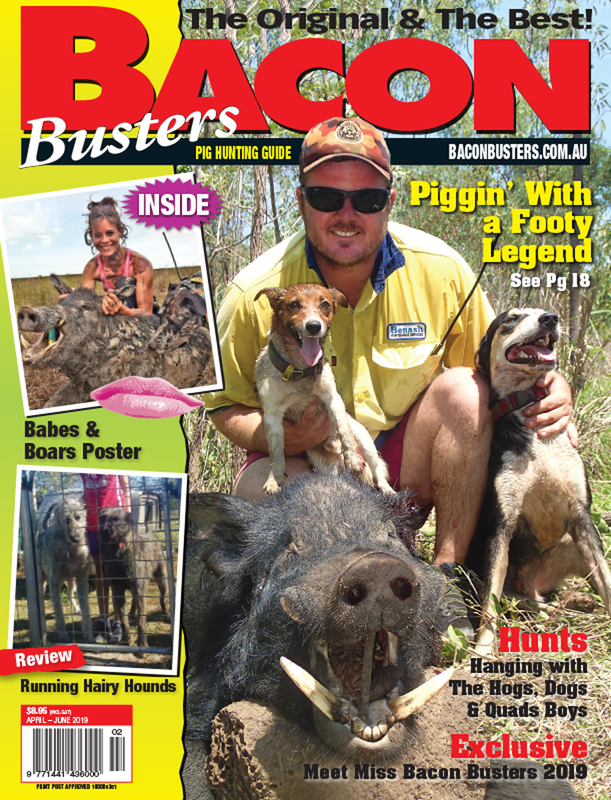 Australian Outfitters can take bookings outside of the Ladies Hunt dates, for men, women and families.